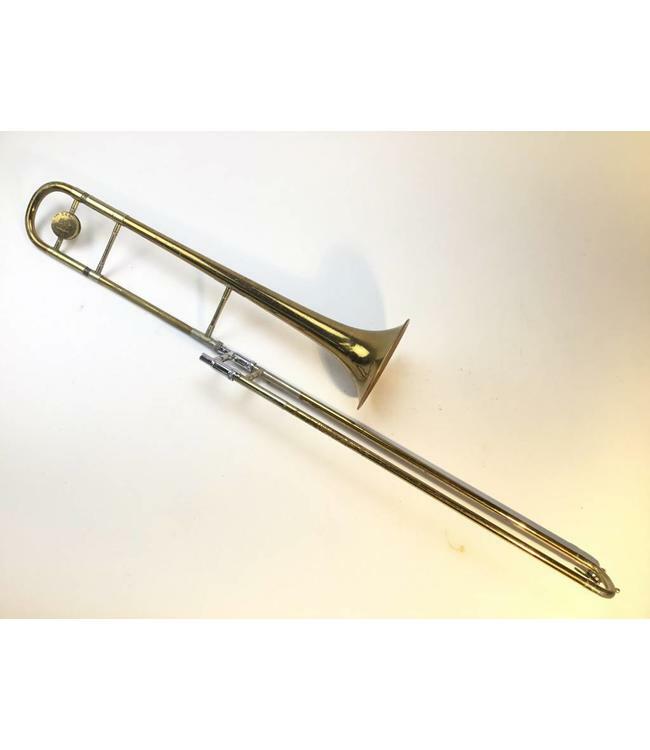 Used Conn 24H Bb Tenor Trombone "Artist Ball-Room Model". .484" bore hand slide, 7" bell flare in lacquer. Instrument is in good condition with lacquer wear throughout and spots of plating loss throughout the inner hand slide. Comes with original case.